Have you noticed lately that the scammers are more savvier than they used to be? They have all kinds of tricks that very smart people fall into their scamming schemes. Timeshares are prey to these scammers, and people are falling for the scams and losing their money. Good news, you can protect yourself from a Villa del Palmar timeshare scam with our tips provided below. 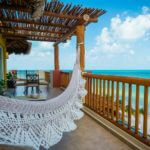 The resale market is the most common way where a Villa del Palmar timeshare scam can occur. You can be scammed easily when you don’t purchase a timeshare straight from Villa del Palmar Resort. 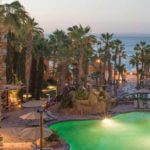 There are many dangers and signs with a resale timeshare with Villa del Palmar, which include an invalid membership, once you give the money, then the seller vanishes, and high agent fees are being sold for Villa del Palmar timeshares. One way to avoid this scam is to always purchase a timeshare directly from Villa del Palmar timeshare agent in the professional sales room, and remember to never, ever make the purchase anywhere else. One of the biggest scams and frauds in timeshares is cancellations. Many scammers tell members that they can cancel their timeshare for a minimal fee. The truth is that you end up paying a high fee and price that only leaves you still a member of the Villa del Palmar timeshare. 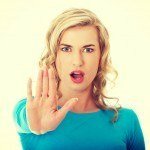 You may think that your membership has been successfully cancelled and you don’t have to make the timeshare payments, but in all reality you have just defaulted on your timeshare loan. You still have to pay the timeshare and risk it going into foreclosure, because this scam of cancellation is false. Don’t put yourself in danger with this scam. Even when a Villa del Palmar timeshare membership owner is happy and content, they can be at risk of a scam. You might think that you have escaped the scams that can occur, but buyer scams are becoming more common. Cold Callers tell Villa del Palmar timeshare members that there is someone wanting to purchase your Villa del Palmar timeshare and they want to pay you big money. You may not be interested in selling your timeshare membership, but if you could make a profit you may consider it. In recent years, the scammers have convinced timeshare members to fall for this trick, and the members will pay the scammers an introduction fee, then later find out that there was never any potential buyer. They lose money and much more with the cold callers scammer. We hope that these scammer tips will protect you from any scam with a Villa del Palmar timeshare. We have tried to provide you with helpful tips, so you can avoid heartache later. Protect yourself from any timeshare fraud with these tips. 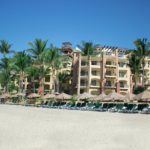 Share the post "Protecting Yourself from a Villa del Palmar Timeshare Scam"